Breath-taking is a phrase that's thrown around pretty liberally in the travel world. 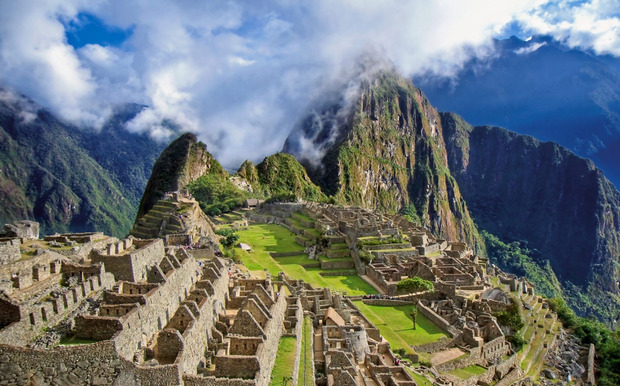 But trek the four-day Inca Trail to Machu Picchu (above), and the breath truly will be taken out of you. The rest of Peru isn't too shabby either - you'll want to take regular pit stops to indulge in citrusy ceviche and Pisco Sours. Extra points if you make it to Lake Titicaca without giggling. If you like that, try this: Angkor Wat. Do it: Intrepid Travel (intrepidtravel.com) offers a 15-day Sacred Land of the Incas trip, from €1,871pps (excluding flights). See also peru.travel. If you can walk past a gelateria in Rome and not press your nose eagerly against the window, then you have the iron will of a saint. Giant towers of heaping, soft gelato are piled in tempting mounds, in endless flavours. Leave with a chocolate waffle cone filled with creamy, soft ice cream and a Mr Whippy will never seem the same again. If you like that, try this: Bruges; Istanbul. Do it: Going to press, Cassidy Travel (cassidytravel.ie) has three nights in Rome, from €152pps. 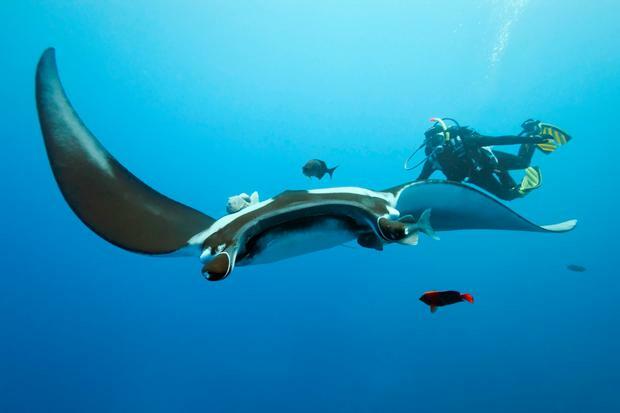 There's no creature in the ocean quite like the manta ray. And there's no ocean quite like that lapping around the coral atolls of the Maldives. Join the Four Seasons Explorer, a luxury catamaran, for an exclusive expedition with the Manta Trust, a charity dedicated to the conservation of manta rays and their habitat. You'll snorkel and dive with these gentle giants, and you won't set foot on dry land for up to a week. If you like that, try this: Sri Lanka blue whale safari. Do it: Three-, four- and seven-night Mantra Trust Expeditions are available in September (+960 660-0888 or fourseasons.com/maldivesfse). See also mantatrust.org. If you're going to do Las Vegas, you need to go big. See the infamous Strip from a helicopter, and you'll have a top view of the party, while feeling like a superstar. Fancy another jaunt? Head out to the Grand Canyon. The coolest way to see it is by chopper, landing at the bottom to the sound of champagne corks popping. If you like that, try this: Tokyo; Monte Carlo. Do it: Sunway (sunway.ie) has three nights in Vegas from €615pps, departing May - you can book helicopter tours through them from €75pp. India is a cacophony of colour at the best of times, but during Diwali - the ancient Hindu festival of lights, celebrated in autumn - the country is ablaze with life, light and vibrancy. Watch the streets light up in the "pink city" of Jaipur, where markets are illuminated like the Vegas Strip. If you like that, try this: Day of the Dead in Mexico. Do it: Trailfinders (trailfinders.ie) has an "India's Golden Triangle" tour which includes Jaipur over Diwali, from €1,569pps, departing October 25. If you've ever hammered a stick on the ground and roared "You. Shall. Not. Pass!" then you've earned a trip to New Zealand. The entire country is Middle Earth brought to life, but for real gob-smacking scenery then Milford Sound is perfection. Craggy, verdant mountains rise from shockingly blue waters, interspersed with roaring waterfalls. If it's good enough for Frodo, it's certainly good enough for us. If you like that, try this: Hawaii; Japan. Do it: Find bespoke packages to New Zealand with Abbey Travel (abbeytravel.ie) or Joe Walsh Tours (joewalshtours.ie), amongt others. Nothing tastes better than a cocktail sipped at its source. And a margarita tastes all the better for being drunk in its motherland - the sharply salty, punchy cocktail just begs for the balmy breeze of a Mexican beach. While you're at it, order up a platter of fish tacos. Olé! If you like that, try this: Guinness in Dublin; wine in Bordeaux. Do it: Fly direct to Cancun for a 14-day, all-inclusive holiday from €1,799pps, departing June 13, with Falcon Holidays (falconholidays.ie). For every star in the sky, it is said, there's a stone in Connemara. From beaches like Dog's Bay to boltholes like Ballynahinch Castle; from coral-specked sands to widescreen mountain and valley scenery (The Quiet Man was filmed around Cong in 1951), this savage landscape is Ireland's Patagonia, Yosemite and Lake District rolled into one... and it's yours for the price of a tank of petrol. Sure, the phone reception is dodgy. But would you want it any other way? If you like that, try this: The Burren; Patagonia. It's the ultimate 21st century city, where glitz and glamour are the name of the game. And every Friday, everyone who is anyone heads to brunch, for a lavish and luxurious meal that lasts well into the evening. Tuck into endless platters of lobster, never-ending steak and, of course, copious amounts of champagne. Get back to reality the next day with a jolly to the desert - in a 4x4, naturally. If you like that, try this: Cocktails in Miami. Do it: Topflight (topflight.ie) currently has Dubai holidays from €819pps. Emirates (emirates.ie) flies direct from Dublin to Dubai. If you, like most of us, spend your life glued to a smartphone, then you may find yourself in need of a digital detox. Spain's Camino de Santiago is the ultimate break from reality. Your days are spent ambling along ancient walkways, either in blissful silence or friendly chatter with fellow pilgrims. There are plenty of routes to choose from, too, from short treks to full pilgrimages. If you like that, try this: The Appalachian Trail. Do it: Packages with Camino Ways (caminoways.com) start from €560pp for a week on the Camino Frances, without flights. Friluftsliv ('the outdoors life') is part of the Norwegian DNA - and there's nowhere more Norwegian to partake than in the middle of a fjord. 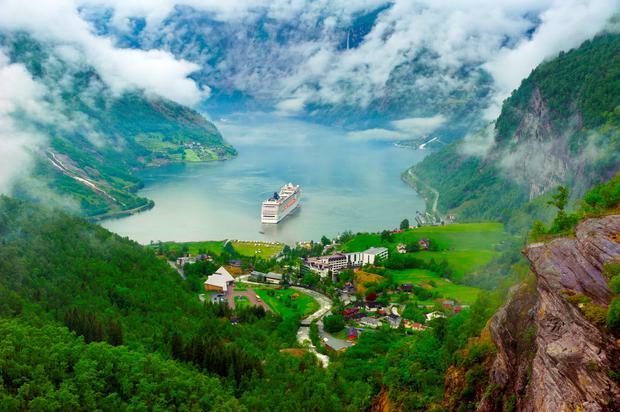 Instead of a cruise, try a kayak trip on the Geirangerfjord. Feel the true scale of the setting and run your fingers through the cold, salty water before stopping to hike up to Skageflå, a mountain farm set on a cliff 820ft above the water. It's an intimate experience in an epic landscape, and for a couple of hours, the nine-to-five is non-existent. That's what travel is all about. If you like that, try this: Dog-sledding in Alaska. A safari often tops the list of things people want to do before they die. And certainly, nothing compares to the feeling of seeing a lion in the wild, a cheetah on the chase, or a giraffe stripping an Acacia tree of its leaves. The big daddy is the Great Migration, which sees 1.5 million wildebeest and zebra on the run from July to October. Hop in a hot air balloon for the jaw drop of a lifetime. If you like that, try this: Uganda; Malaysia. Do it: Travelmood (travelmood.ie) has seven-day 'Kenya Classic' safaris from €1,219pp. Australia tops the bucket list of many a traveller - the mythical peak of Uluru, captivating sights of Sydney and easy-going attitude makes for the ultimate trip. 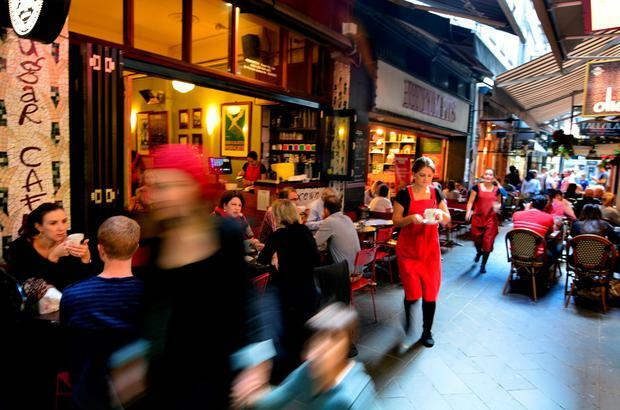 But Melbourne is deserving of a place on any itinerary. This laidback city is the cooler sister of Sydney, with unique neighbourhoods and a coffee culture that will make any caffeine junkie think they've died and gone to Java heaven. If you like that, try this: Toronto; Los Angeles. Do it: Fly with Emirates (emirates.ie) from around €909. Forget everything you thought you knew about BBQ - this isn't your uncle's back garden. Real, authentic BBQ from the Deep South means dreamily succulent, charred cuts of meat that have sat in a smoker for hours upon hours. On the side, opt for sweet baked beans, cornbread and mac and cheese (it's considered a vegetable round these parts). An ice-cold beer? Mandatory. If you like that, try this: North Carolina; Memphis. Do it: American Holidays (americanholidays.com). Japan's Kyoto is famous for its April blossoms, but there's a lot more to it than that. For the purest, truest and most unforgettable snapshot of cultures and centuries colliding, lose yourself in the district of Ponto-cho. Wooden teahouses, glowing lanterns and the citrusy smell of yuzu noodles set the scene. Listen out for the patter of a geisha or maiko's wooden slippers. Watch her glide by, and disappear. You'll be in love with this place forever. If you like that, try: Tokyo; Kuala Lumpur. You've sat in a mediocre motor on the M50. Now, how about driving a Ferrari 458 Italia around the Roman countryside? You'll pick up your snazzy wheels from the stunning Rome Cavalieri hotel, set on parkland overlooking the Eternal City. Then it's time to rev the engine and set off on an unforgettable spin. Waldorf Astoria Driving Experiences are available on set dates, in 12 of the brand's locations. If you like that, try this: Brands Hatch, Monaco. Don't scoff - there's never been a better time to take a cruise. No longer the reserve of the blue rinse brigade, there's now a cruise to suit every wannabe sailor, from toddlers to hipsters. For the restless, brand new mega-ships have something to occupy you every second of the day (and night). River cruises take care of those who prefer a quieter scene. If you like that, try this: Orient Express; barge holidays. Nothing says New York like the Empire State Building. Wangle a ticket to the top at sunset, and watch the city lights come to life as the sun dips behind the Statue of Liberty. If you'd rather see the actual Empire State Building instead, opt for Top of the Rock (the queues are shorter, too). If you like that, try this: Burj Khalifa in Dubai; The Shard in London. Do it: Tour America (touramerica.ie) has New York holidays. No city is more synonymous with love than Paris. And Paris is a city that needs love, now more than ever (see #ParisWeLoveYou on social). Walk hand in hand along the winding streets of Montmartre, where the walls are ingrained with tales of lovers past. Drink ice-cold champagne in charming patio cafés. And ignore the naysayers and head to the Eiffel Tower for the light show. If you like that, try this: Venice; Girona. Do it: Clickandgo.com has three-night breaks to Paris. 2016 sees a new arrival on Ireland's train tracks - the uber-luxurious, Belmond Grand Hibernian. While the €3,250pp price tag puts that squarely in bucket list territory, however, not all great train journeys cost the earth. Russia's Trans-Siberian operates from Moscow to Vladivostock and Beijing, and one-way tickets can be had from around €590 in a four-berth cabin. Not bad for 5,000 miles of travel… but there's a definite knack involved to travel in Russia. If you like that, try this: The Ghan (Australia). Venice might be known for its pretty canals, but avoid the Gondola traffic jams and plump for Amsterdam instead. You'll get an excellent view of the pretty, regal houses that line the city's waterways, as well as a peek into the quieter neighbourhoods of this uber-chic city. Visit on King's Day, and you'll find the canals alive with boat parties (it's like the Dutch Paddy's Day). If you like that, try this: Stockholm, Bruges. Gaudí's flagship building is pure Barcelona - a swirling chandelier of a cathedral that remains under construction 90 years after his death. Problem? Everybody wants to see it, and it gets horribly crowded at peak times. Solution? Book an early slot in advance online, and bring a sketchpad. The low light, swirling stairwells and kaleidoscopic light patterns are impossible to capture adequately with a camera, anyway - it's slow travel at its purest. If you like that, try this: Hallgrímskirkja, Reykjavik. There's no blue on earth that can beat the unmistakable shade of Greek waters. Add in the hidden coves of Kefalonia, the domes of Santorini and endless Ouzo, and you've a holiday just built for Instagram, #NoFilterNeeded. If you like that, try this: Croatia; Indonesia. Do it: Rent a yacht from Sunsail (sunsail.com) from €1,070 for a week (sleeps six). Put your diving tanks away - this is a trip for the most adventure-hungry snorkellers. Imagine diving into clear waters to come face to face with a gigantic blue whale. In Sri Lanka, you can do just that. The sight of this magnificent beast at your fingertips is one you won't forget in a hurry. If you like that, try this: Maldives; Great Barrier Reef. Do it: Natural World Safaris (naturalworldsafaris.com) has an amazing nine-day Blue Whale Safari from £5,225/€7,000pp. It's impossible to look at the pages of the National Geographic and not be filled with the urgent need to travel. So it seems fitting that the brand has teamed up with G Adventures to provide National Geographic Journeys, where you'll go on a unique adventure with field experts. Think game drives with a conservation researcher, or a trip to Costa Rica's top reforestation centre. If you like that, try this: Galapagos, Hebrides. Do it: The seven-night trip to Kruger National Park costs from €1,499pp. See gadventures.com/journeys. If you race to kick up the leaves the instant they fall from the trees, then you'll love an autumnal jaunt to New England. Rent a car and drift between picture-perfect towns, the trees around you bursting with vivacious reds, oranges and pinks. Include Vermont too, if only for the excuse to practically drink maple syrup straight from the tree. If you like that, try this: April blossoms in Japan and Washington D.C.
Do it: Sunway (sunway.ie) have self-drive and guided fall foliage tours in New England and Vermont. Picture the scene: you're cruising down an empty highway, sunglasses on, country music blasting from the radio. Dreamy, right? An American road trip is the classic holiday of a lifetime, whether you go old-school on Route 66 or hug the Californian coastline. And be sure to put the top down - it'd be rude not to. If you like that, try this: The Garden Route in South Africa; Iceland's Route 1. 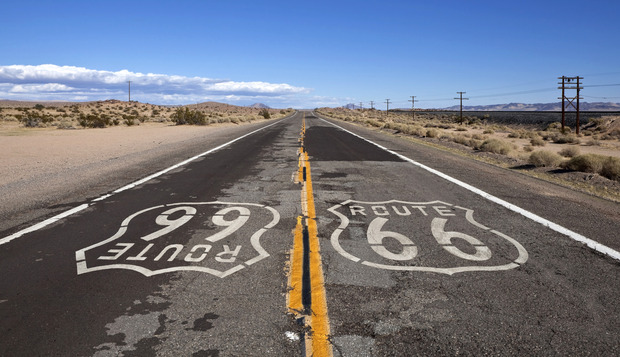 Do it: Sunway (sunway.ie) has a two-week fly-drive trip exploring Route 66 from Chicago to LA, from €1,655pps. Yes, it's a multi-squillion dollar commercial mantrap that will squeeze you for every cent over the course of your visit. But then there's Space Mountain. And Peter Pan's Flight. And Sleeping Beauty's Castle! Kids will go completely gaga at the character experiences (a hug from Anna and Elsa, anyone? 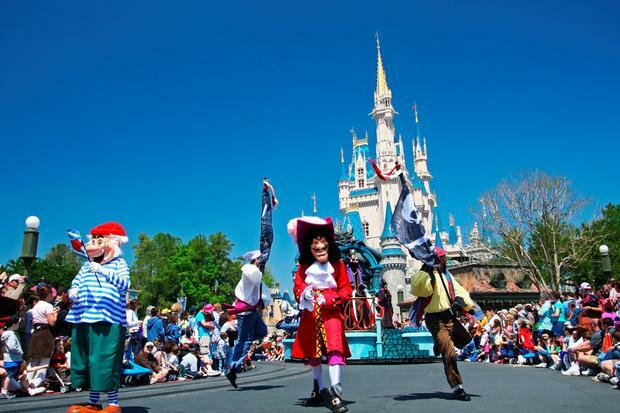 ), and adults will melt at the unadulterated joy on their little prince and princesses' faces. Disneyland Paris is practically on our doorstep, too. Use the Fastpass, steal lunch from the hotel buffet, and prepare for the ride of a lifetime. If you like that, try this: Universal Studios, Orlando. It's been 100 years since Ernest Shackleton, Kildare's most intrepid explorer, set foot on Antarctica. Follow in his footsteps with an adventure among the penguins in a land truly unlike any other. If you like that, try this: Lapland; Norway. Do it: Seabourn (seabourn.com) has ultra-luxurious, 21-day cruises to Antarctica and Patagonia from around €13,431pp. To say that the Northern Lights are elusive is putting it mildly. But it wouldn't be a once-in-a-lifetime experience if they popped up like clockwork. To stand in the glow of the aurora borealis is humbling and awesome, and well worth a chilly night spent gazing skywards. If you like that, try this: Sunrise at Uluru; Norwegian Fjords. 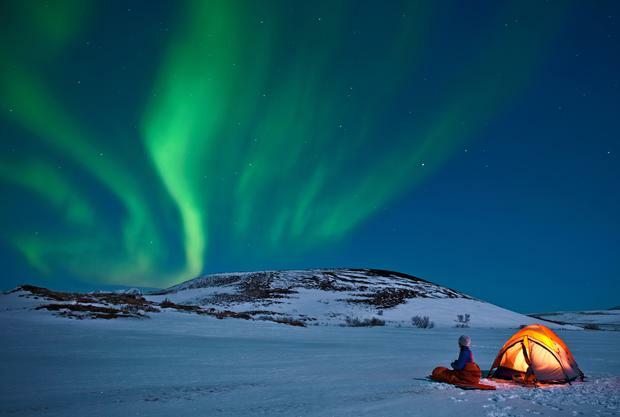 Do it: Travel Department (traveldepartment.ie) has three-night Northern Lights holidays from €649pp, including flights.